Most people have an idea of how they want their lives to go. It’s as if they’ve written a movie script for their lives, filled with dreams, expectations and hopes. The problem is that few lives turn out anything like they were scripted. What’s true for us was true for Sallie Myers. Elizabeth Salome “Sallie” Myers was a schoolteacher in Gettysburg. She was living her life with her family, enjoying her summer vacation, when war came to her home on July 1, 1863. In a matter of hours, her life script changed dramatically. Her response to it revealed her depth of character. Our cellar was a good one and furnished a refuge for many besides our family. We knelt, shivering and we prayed. I swung off the (surgical) table…stepping carefully among the hundreds of soldiers lying in the aisles. The night was a horrible one. All night long I heard…moans, groans, shrieks from the wounded and suffering soldiers. …the air vitiated by the odor of gangrenous wounds and a considerable number of them were dying from lock-jaw. Foul odors, screams, cries for mother, blood, flies, intense July heat and humidity, and mangled bodies: all of these assaulted the senses. In this place of human misery, Sallie Myers served, responding to this life-altering situation with courage and perseverance. After the Confederates retreated, Sallie continued caring for the wounded. One man whom she tried to help was Sergeant Alexander Stewart of the 149th Pennsylvania Infantry. Sergeant Stewart died but a romance developed between his brother and Sallie. Henry and Sallie were married in 1867; Henry died in 1869 due to wounds he suffered in battle. 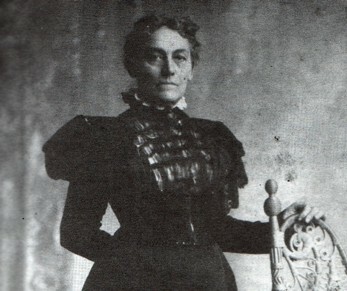 Sallie never remarried and raised her son Henry as a single mother. Ironically, in 1905, she became treasurer of the National Association of Army Nurses. She held this position until she died at age 79 in 1922. She is buried in Evergreen Cemetery in Gettysburg. It is a great pleasure to remember that… I was treated with the greatest courtesy and kindness by the soldiers. Not one in either army, ever addressing me except in the most respectful manner….They bore their suffering…with courage and fortitude…. I never heard a murmur. Truly, we shall not look upon their like again….While I would not care to live ever that summer again, yet I would not willingly erase that chapter from my life’s experience…I shall always be thankful that I was permitted to minister to the wants and soothe the last hours of some of the brave men who lay suffering and dying for the dear old flag. Two things inspire me. Instead of taking credit for her courageous and tireless service, Sallie pointed out the courage of the men she served; it was her pleasure to serve the suffering. In an attention-seeking culture like ours, with chest-thumping athletes, people who are famous for nothing but being famous, and ordinary people who do nothing but talk about themselves, it’s refreshing to read such selfless words from this humble woman. Another thing that strikes me is that while Sallie wouldn’t have scripted Civil War hospital service into her life, she saw its benefits and was glad for that difficult season of her life. 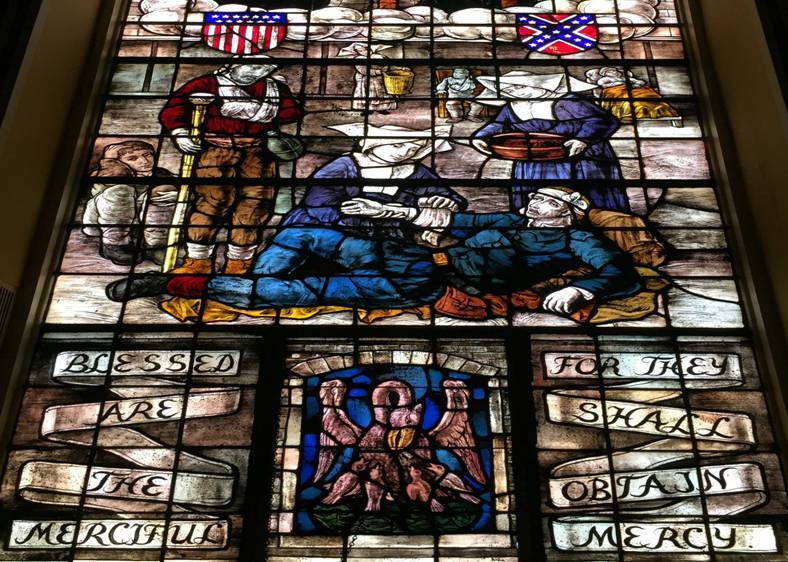 Not only did she not complain, she was grateful for the opportunity to serve the wounded and dying. Sallie’s suffering had meaning, purpose, and impact. Many of those who go through difficulties end up bitter. However, instead of of letting bitterness set in, Sallie was humble, other-centered, and grateful for the chance the help others. Her story is a tremendous American story; her legacy is an enduring one.